What are the advantages and disadvantages of tax lien investing compared to more traditional forms of investing? Is one better than the other? How do you know if tax lien investing is right for you? As an expert in the tax lien investment field, I’m going to share the risks and rewards of this financial venture and compare it to other ways you can try to earn a return on your money. This article explains tax liens and a related investment, tax deeds. The two are a bit different, but essentially the same in that you are buying past due taxes on real estate. In a tax lien sale, you do have the chance of owning the property, but that is low. In a tax deed sale, you get the property pretty quickly. Tax lien investments can generate returns that are about the same as you can expect from buying stock in a utility company (low) to as much as 36 percent. Buying stock in a company is buying part ownership in that company. As the company’s fortunes rise and fall, the value of the stock rises and falls. As company profits go up and down, dividends paid to stock owners go up and down. Ideally over time the value of a stock will rise while the stock owner also receives annual profit-sharing payments. 1) Common. In addition to the above, this gives a person owning stock the right to have a say in how the company is operated. Common stock holders are also on the bottom of the list when it comes to receiving profit shares. If the company closes or goes bankrupt, common stock holders are the last to receive a payout when the firm’s assets are sold. 2) Preferred. These stock owners exchange having a say in how the company is run for a better chance at earning dividends. Preferred stock holders are paid before common stock holders. If the business is liquidated, they also receive money before common stock holders are paid. 3) Unlisted. This is stock in a company this is not listed on one of the organized stock-trading exchanges. The New York Stock Exchange is the world’s best known. There are others in the US and other nations. Unlisted stock can be common or preferred. A mutual fund is a group of people who pool their money to invest. Most of the time people think of mutual funds as owning stocks. A mutual fund may own stock, but it may also own bonds, commodities, real estate and even invest in tax liens. A bond is a loan, but instead of an individual borrowing money, the individual loans money. Cities, counties, states and the federal government issue bonds. Companies and industries can also issue bonds. Bank deposits are insured by the Federal Deposit Insurance Corporation (FDIC). Credit unions are insured by the National Credit Union Insurance Fund (NCUSIF), state insurance plans or private insurance. Putting your money in a bank is very secure, up to the $250,000 insurance limit set by the FDIC. If you deposit more than $250K and the bank folds, you may lose whatever you have above the insurance cap. Credit union insurance limits are covered by their policies. At both, you can get your money out of a checking account through an ATM withdrawal or writing a check. If you have money in a savings account, your ATM card may be linked to that account. Your savings account may also be linked to your checking account. Banks and credit unions offer interest on some checking accounts, all deposit accounts and slightly higher interest rates on Certificates of Deposit (CD). If you have a CD, you have to go to the bank when it is open and present the CD to get your money. If you cash out the CD before it matures, you pay a penalty. Credit unions typically pay a bit more interest than banks because people who put money in the credit union become members. Money put into a credit union is considered buying shares in the financial institution. It’s similar to, but not exactly the same as buying stock. The interest banks pay on deposits varies from bank to bank. Bank rates are very often linked to the Prime Rate. Credit union rates are less linked to the Prime Rate, but it does affect how much they pay out. 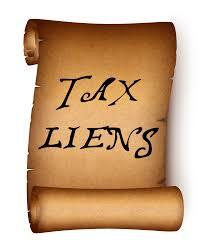 A tax lien is backed by the property on which the lien is placed. If the owner does not repay the lien, plus interest, the lien holder can foreclose and take the real estate. The new property owner can then sell the property, rent it or use it for other purposes. If it is a house, he can live in it. If it is a commercial building, he can open a business. If it is vacant land, he can develop it according to the zoning regulations on that property. This idea of selling tax liens and letting the lien holder take the property has been upheld by the U.S. Supreme Court. The case of Jones v. Flowers is the most recent decision. In upholding the idea of tax sales, the High Court said more notice to the property owner about the sale is required than was given in this case. Tax collectors around the nation improved their notification delivery system after this ruling. Interest paid to the tax lien holder varies. Some states have a fixed rate. Others let buyers bid down the interest rate during the tax lien auction. Over time real estate values rise. The housing bust of the last decade temporarily reduced property values. They are climbing and some places have returned to normal levels. In places with a high demand for housing, values are higher than at the peak of the housing bubble. Tax liens are not entirely liquid. If you hold a lien and need cash, you can try to sell it. Someone will buy it, but it’s not going to happen in a few minutes. You can hold on to the lien until the redemption period has expired; this varies with each state having a different length of time. In terms of security, bonds issued by the federal government are the safest investment around, according to the Wall Street Journal. Such bonds are backed by the “full faith and credit” of the federal government. They attract investors from around the globe because of this security. Other bonds are less secure. Municipal bankruptcies across the nation have shown “muni bonds” are not a guaranteed investment. Writing for The New York Times, Floyd Norris said, “The bankruptcy of the most populous county in Alabama moved closer to resolution this week with an agreement providing that investors will lose 20 percent of the money they invested in bonds that were rated AAA.” Bankruptcy is part of the U.S. Constitution. Bonds pay interest. As more bonds come out with a higher interest rate, earlier bonds with a lower rate become less valuable. If new bonds are issued with lower interest rates, older bonds with the higher rate are more valuable. Bonds can be sold, but the investor is not going to get as much money as if he held the bonds to maturity. Finding a buyer, as with a tax lien, can be done. If you have the bonds in hand, you can get your cash as soon as the buyer can deliver it. To get the full value of a bond, the holder must keep until it matures. Maturity dates can be a year to a decade.